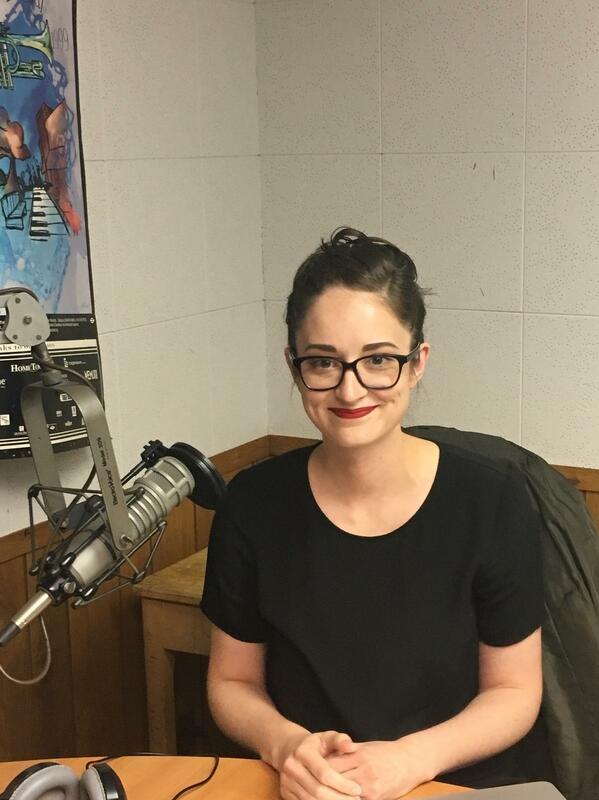 This week on "In the Public Interest," our bi-weekly conversation with the League of Women Voters of the Ann Arbor Area, 89.1 WEMU's Lisa Barry talks with league member Paige Nong about understanding how some money is spent anonymously on campaigns in Michigan. Paige Nong joined the League after the 2016 election to become better acquainted with local civic issues. The League is not Paige’s only community involvement as she is very actively involved in a community program called Circles, which is run by Friends in Deed and aims to support individuals and families as they try to transition out of generational poverty. A native of Ann Arbor, Paige works at the University of Michigan as a research associate and project manager in health information and policy. Paige has appeared on this program to talk about the Brews & Views evening education series run by the League. On the third Wednesday of every month at 7:30pm at either Homes Brewery on Jackson Road or Pointless Brewery on Packard Rd., people meet for a combination of education and discussion. The events are open to the community. What/who is the Michigan Campaign Finance Network (MCFN)? · educate the public about the impact of money in politics in Michigan. · uses publicly available sources of data, to summarize and analyze political fundraising. · Click here for their website. Why did you invite Craig Mauger (MCFN executive director) to Brews & Views? · Voters have the right to know who is raising money for which political candidates, how much money they are raising and how that money is being spent. · everyday Americans should be able to run for office, even if they aren’t well connected to wealthy special interests. · chilling effect of the threat of possible donations to an opponent. · Political campaigns and certain Political Action Committees are required by law to make periodic reports of their financial activity. · The Michigan Secretary of State records this information for state level elections. This is available to the public on the SOS website here. · County Clerks maintain this information for local and county-wide political campaigns. 2. Political action committees (PAC) who must not coordinate with candidate campaign but who urge you to vote for someone. · organizations making what are called issue ads are not required to provide financial information. · as long as they do not ask you to vote for a person, no financial reporting is required. Sounds clear-cut. It is this simple? Not at all. A quick Google search will reveal that this can be a very complex situation. A financial report may list a contribution from easily identified individuals or well-known corporations or unions, but it may include as a contributor another organization who lists a third organization etc. It is easy to create a corporation for the sole purpose of political activity and the ultimate donor can hide behind layers of vaguely-named entities. For issue oriented organizations there is no reporting at all, so we have no official way to learn who is funding that activity. · $97 million was raised over 2017 and 2018 by Michigan top 150 political action committees, shattering their past fundraising record for a two-year election cycle. · up 42 percent from the previous record, which was the last time Michigan elected a governor. · Seeing the growing role of groups acting independently of candidates in campaigns and the increased financial influence of individual families and organizations. A new report suggests that ‘dark money’ disclosure requirements prompted by a recent federal court ruling have largely been ignored. By Peter Olsen-Phillips, Staff Writer Feb. 8, 2019, at 1:53 p.m. POLITICALLY ACTIVE "dark money" groups spent more than $50.7 million on direct advocacy at the height of the midterm campaigns last year, but just 8 percent of that money came from groups that identified some of their donors, according to a new analysis by the Campaign Legal Center. But the center report, issued Wednesday, concludes that just a few months removed from that decision, most of these organizations have sidestepped the new rules. It draws on year-end reports from the 2018 midterms that show most dark money operations – which include nonprofits and other corporations – are remaining dark, indicating to the FEC that they did not receive any donations expressly for political activities. Majority Forward, a nonprofit corporation that spent more than $40 million on independent expenditures supporting Democratic candidates in the 2018 cycle, disclosed none of its donors, noting that &quot;as a matter of policy, Majority Forward does not accept funds earmarked for independent expenditure activity or for other political purposes in support or opposition to federal candidates. That seems unlikely, according to the Campaign Legal Center. It strains credulity for groups like Majority Forward, Patriot Majority USA, and Texas Organizing Project to claim that no donors gave for political purposes, the group says in its report, naming other prominent dark money operations that also did not disclose their donors. These groups may be calculating that the FEC is unlikely to second-guess these implausible assertions. Is this just a problem for legislative and governor campaigns? · No, the 7 Michigan Supreme court justices are elected. · $18 million was spent in 2012, 75% of this was undisclosed. Is this just a problem at the state and federal level? No, MCFN is starting to see dark money in local campaigns. What the League is doing? This week on "In The Public Interest," our bi-weekly conversation with the League of Women Voters of the Ann Arbor Area, 89,1 WEMU's Lisa Barry talks to league member Mary Seelhorst about a bill now being considered by Congress that provides a number of protections for voters. This week on "In The Public Interest," our bi-weekly conversation with the League of Women Voters of the Ann Arbor area, 89.1 WEMU’s Lisa Barry talks with Rena Basch about what goes in to running for public office especially on the local level.